For other uses, see Euro league. The FIBA European Champions Cup was originally established by FIBA and it operated under its umbrella from 1958 until the summer of 2000, concluding with the 1999–00 season. That was when Euroleague Basketball was created. FIBA had never trademarked the "EuroLeague" name, even though it had used that name for the competition since 1996. Euroleague Basketball simply appropriated the name, and since FIBA had no legal recourse to do anything about it, it was forced to find a new name for its championship series. Thus, the following 2000–2001 season started with two separate top European professional club basketball competitions: the FIBA SuproLeague (previously known as the FIBA EuroLeague) and the brand new Euroleague 2000–01 season. The rift in European professional club basketball initially showed no signs of letting up. Top clubs were also split between the two leagues: Panathinaikos, Maccabi Elite Tel Aviv, CSKA Moscow and Efes Pilsen stayed with FIBA, while Olympiacos, Kinder Bologna, Real Madrid Teka, FC Barcelona, Paf Wennington Bologna, Benetton Treviso, AEK and Tau Cerámica joined Euroleague Basketball. In May 2001, Europe had two continental champions, Maccabi of the FIBA SuproLeague and Kinder Bologna of the Euroleague. The leaders of both organizations realized the need to come up with a unified competition. Although only a year old, Euroleague Basketball negotiated from a position of strength and dictated proceedings. FIBA essentially had no choice but to agree to Euroleague Basketball's terms. As a result, European club competition was fully integrated under Euroleague Basketball's umbrella and teams that competed in the FIBA SuproLeague during the 2000–01 season joined it as well. In essence, the authority in European professional basketball was divided over club-country lines. FIBA stayed in charge of national team competitions (like the FIBA EuroBasket, the FIBA World Cup, and the Summer Olympics), while Euroleague Basketball took over the European professional club competitions. 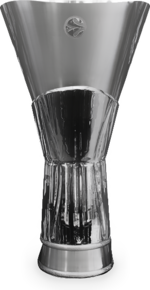 From that point on, FIBA's Korać Cup and Saporta Cup competitions lasted only one more season before folding, which was when Euroleague Basketball launched the ULEB Cup, now known as the EuroCup. In November 2015, Euroleague Basketball and IMG agreed on 10-year joint venture. Both Euroleague Basketball and IMG will manage the commercial operation, and the management of all global rights covering both media and marketing. The deal was worth €630 million guaranteed over 10 years, with projected revenues reaching €900 million. On 26 July 2010, Turkish Airlines and Euroleague Basketball announced a €15 million strategic agreement to sponsor the top European basketball competition across the globe. According to the agreement, starting with the 2010–11 season, the top European competition would be named Turkish Airlines Euroleague Basketball. Similarly, the EuroLeague Final Four would be named the Turkish Airlines EuroLeague Final Four, whereby the new league title would appear in all media accordingly. This title partnership was set to run for five seasons, with the option of extending it to an additional five. On 23 October 2013, Turkish Airlines and Euroleague Basketball agreed to extend their partnership, up until 2020. A EuroLeague game in Madrid, in 2009. *There were two separate competitions during the 2000–01 season. The SuproLeague, which was organized by FIBA, and the Euroleague, which was organized by Euroleague Basketball. The EuroLeague operated under a tournament system, from its inaugural 1958 season, through the 2015–16 season. FIBA European Champions Cup (1958 to 1986–87): The champions of European national domestic leagues, and the then current European Champions Cup title holders (except for the 1986–87 season), competing against each other, played in a tournament system. The league culminated with either a single game final, or a 2-game aggregate score finals (3 games if needed to break a tie). FIBA European Champions Cup (1987–88 to 1990–91): The champions of European national domestic leagues, competing against each other, played in a tournament system. The league culminated with a Final Four. FIBA European League (1991–92 to 1995–96): The champions of the European national domestic leagues, the then current European League title holders, along with some of the other biggest teams from the most important national domestic leagues, played in a tournament system. The league culminated with a Final Four. FIBA EuroLeague (1996–97 to 1999–00): The champions of the best European national domestic leagues, along with some of the other biggest teams from the most important national domestic leagues, played in a tournament system. The league culminated with a Final Four. *Euroleague (2000–01): Some of the European national domestic league champions, and some of the runners-up from various national domestic leagues, played in a tournament system. The league culminated with a best of 5 playoff finals. *FIBA SuproLeague (2000–01): Some of the European national domestic league champions, and some of the runners-up from various national domestic leagues, played in a tournament system. The league culminated with a Final Four. Euroleague (2001–02 to 2015–16): The champions of the best European national domestic leagues, along with some of the other biggest teams from the most important national domestic leagues, played in a tournament system. The league culminated with a Final Four. Starting with the 2016–17 season, the EuroLeague operates under a league format. EuroLeague (2016–17 to present): The champions of the best European national domestic leagues, along with some of the other biggest teams from the most important national domestic leagues, playing in a true European-wide league system format. The league culminates with a Final Four. The setting of the 2014 EuroLeague Final Four, in Milan. Starting with the 2016–17 season, the EuroLeague is made up of 16 teams, which each play each other twice, once at home and once away, in a true league style regular season format, totaling 30 games. The top 8 placed teams at the end of the regular season advance to the playoffs, which are held as four individual 5 game playoff series. The higher placed team in the regular season standings of each playoff match up has home-court advantage in each playoff series, playing 3 out of the 5 games at home. The winners of each of the four playoff series advance to the Final Four, which is held at a predetermined site. The Final Four features two semifinals games, a third place game, and the championship game. Each team plays a maximum 37 games per season, versus 31 in the previous tournament format. The remaining 5 EuroLeague places are held by associated clubs that have annual licences. These five associated clubs are awarded through one place going to the winner of the previous season's 2nd-tier European competition, the EuroCup, with the other four places going to a combination of European national domestic league winners and wild cards. Effective as of the 2012–13 season, EuroLeague clubs with what was at the time an "A License" had to host their home EuroLeague games in arenas that have a seating capacity of at least 10,000 people. This same minimum 10,000 seat arena capacity rule, now currently applies to all EuroLeague clubs with a long-term license. Previously, in 2008, the Euroleague Basketball had originally decided to increase the minimum arena seating requirement to 10,000, within four years time, in order to force EuroLeague clubs to move into and/or build bigger arenas. This was done in hopes of increasing revenues through more ticket sales. Conversely, associated clubs, must currently play in arenas that seat at least 5,000 people. Real Madrid has been the most successful team, having won the competition a record ten times. Split (1988–89, 1989–90, 1990–91), is the only team to have won the competition three times in a row, in the modern EuroLeague Final Four era (1987–88 season to present). Rīgas ASK, as a Soviet League club in the late 1950s and early 1960s (1958, 1958–59, 1959–60), is the only team to have won the competition three times in a row, in the pre-EuroLeague Final Four era. Real Madrid (1963–64, 1964–65) & (1966–67, 1967–68), along with Varese (1971–72, 1972–73) & (1974–75, 1975–76), are the only teams to have won the European Championship twice in a row, on two separate occasions, in the pre-modern EuroLeague Final Four era. Cantù (1981–82, 1982–83), Cibona (1984–85, 1985–86), and Olimpia Milano (1986–87, 1987–88), are the other three teams to have won the European Championship twice in a row (only for one time), in the pre-modern EuroLeague Final Four era. Maccabi Tel Aviv (2003–04, 2004–05), and Olympiacos (2011–12, 2012–13), are the only teams to have won the EuroLeague twice in a row, becoming back-to-back EuroLeague champions in the Euroleague Basketball era (2000–01 season to present). Fenerbahçe are the only team who stayed undefeated at home after a 30-game regular season and secured the best record after a regular season (25-5) under the new format (2016–17 season to present). They are also the earliest EuroLeague Playoffs qualifiers ever in the modern EuroLeague era. Istanbul is the only city, from which nine different clubs have played in the competition: Beşiktaş, Darüşşafaka, Eczacıbaşı, Efes, Fenerbahçe, Galatasaray, Istanbul Technical University, Modaspor, and Ülker have participated in the EuroLeague. In a small area of less than 40 km² (25 mi²), north of Milan, there are 3 clubs that have won a total of 10 FIBA European Champions' Cups, and played in a total of 16 finals: Pallacanestro Varese (5), Olimpia Milano (3) and Cantù (2). The record score differential for a EuroLeague Finals game was achieved at the 2004 Finals, in Tel Aviv, where the home club, Maccabi Elite, defeated Skipper Bologna, by a score of 118–74 (a 44-point difference). A crowd of 22,567, which filled Belgrade Arena on 5 March 2009, for a 2008–09 season Top 16 game between Partizan and Panathinaikos is the league's official all seated attendance record. Before that, a crowd of 19,700 all seated fans occurred at a Panathinaikos home game at the Olympic Indoor Hall, in Athens, against Tau Cerámica, on 12 April 2006, during the 2005–06 third quarterfinal playoff game. The most points ever scored in a single game in the league is 99 points, by Radivoj Korać of OKK Beograd, on January 14, 1965, during the 1964–65 season, in a game against Alvik. The most points ever scored in a single EuroLeague Finals game is 47 points, in the 1978–79 season, by Žarko Varajić of Bosna, in a game against Emerson Varese, on April 5, 1979. The EuroLeague season is broadcast on television, and can be seen in up to 201 countries and territories. It can be seen by up to 245 million (800 million via satellite) households weekly in China. It is also televised in the United States and Canada on NBA TV, and available online through ESPN3 (in English) and ESPN Deportes (in Spanish). The EuroLeague Final Four is broadcast on television in up to 213 countries and territories. The EuroLeague also has its own internet pay TV service, called EuroLeague TV. ^ "Champions Cup 1958". linguasprt. Retrieved 22 March 2017. ^ "ULEB History". ULEB. Retrieved 2 January 2017. ^ "Euroleague Basketball A-licence clubs and IMG agree on 10-year joint venture". Euroleague Basketball. 10 November 2015. ^ 630 millions guaranteed by IMG. ^ "Turkish Airlines And Euroleague Basketball Sign Strategic Partnership Agreememt" (Press release). Euroleague Basketball. 28 July 2010. Retrieved 29 July 2010. ^ "An important strategic partnership agreement between Turkish Airlines and Euroleague Basketball..." (Press release). Turkish Airlines. 26 July 2010. Retrieved 29 July 2010. ^ "Turkish Airlines, Euroleague Basketball Cement Partnership Through 2020". turkishairlines.com. 23 October 2013. Retrieved 20 May 2015. ^ "CHI SIAMO". MediolanumForum.it. Retrieved 3 December 2016. ^ "Reconstruction of the Sports Center Morača". Total Montenegro News. 16 May 2018. Retrieved 17 June 2018. ^ "Palau Blaugrana - FC Barcelona". FC Barcelona. Retrieved 4 June 2017. ^ "Sports Competitions". buesa-arena.com. Archived from the original on 7 November 2016. Retrieved 6 November 2016. ^ Έτοιμο το ΣΕΦ για τον τελικό Ολυμπιακός-Ραβένα(pics) (in Greek). ^ "Olympic Sports Hall". stadia.gr. Retrieved 29 June 2017. ^ "WiZink Center | Real Madrid Basketball Arena | Real Madrid Basketball". Real Madrid. Retrieved 1 January 2017. ^ "Žalgirio arena - About Žalgirio arena". zalgirioarena.lt. Retrieved 4 June 2017. ^ Milosavljevic, Zoran (20 May 2018). "Real beat Fenerbahce to win 10th Euroleague title". Reuters. Retrieved 23 July 2018. ^ "Sloukas lets Fenerbahce stay perfect at home". euroleague.net. Euroleague Basketball. Retrieved 5 April 2019. ^ Euroleague.net Radivoj Korac's 99 points. ^ European club champions: 1958-2014. ^ Fenerbahce-Madrid Game of Week sets new TV reach record. ^ "– CSPN China to broadcast Turkish Airlines Euroleague". Euroleague.net. 16 December 2010. ^ Record broadcast reach for 2017 Final Four! ^ "Global – Marketing Partners". Euroleague Basketball. Retrieved 4 November 2017. ^ "Germany – Marketing Partners". Euroleague Basketball. Retrieved 4 November 2017. ^ "Russia – Marketing Partners". Euroleague Basketball. Retrieved 4 November 2017. ^ "Turkey – Marketing Partners". Euroleague Basketball. Retrieved 4 November 2017. ^ "Spain – Marketing Partners". Euroleague Basketball. Retrieved 4 November 2017. ^ "Greece – Marketing Partners". Euroleague Basketball. Retrieved 4 November 2017.